I have been reading a lot of the threads in the Aerodynamics forum here in regards to my hopes/plans to self build a travel trailer. I found these images below from “Ahmed et al.” posted by Aerohead, the most helpful in terms of simplifying the thousand design questions and possibilities that have come up for me. I do realize the images are geared toward buses but I am assuming that design wise they would be somewhat transferable to travel trailer design, with an understanding that the tow vehicle and relationship to the tow vehicle factors in greatly also. 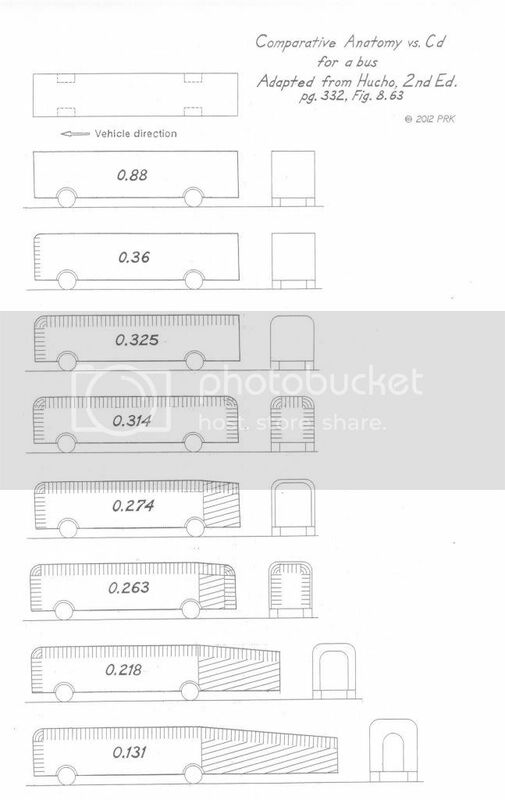 From a construction and utility viewpoint it seems every vehicle in image 1, except for the bottom one with Cd of .131 seems reasonably doable. In the second image they all seem doable but what I would do with the boattail space, utility wise is a big question for me. One possibility would be to have a rear exterior accessed storage shed or external kitchen. I don’t really understand how to translate percentage gains in Cd to possible percentage gains in fuel efficiency if that is even possible. If it is, then how would you translate the differences between the .314 vehicle and the .218 Cd for example? Does anyone know what the radius would need to be of the leading edges, side top edges and boattail edges to accomplish these kind of Cd numbers? Am I right to assume that the minimum degree taper of the boattail to achieve the .218 Cd is 10 to 12%? Lastly, is there any kind of formula for where the boattail can be cutoff off, where you get the majority of the benefit? Thanks to everybody here for these resources. i appreciate it all very much! Last edited by stcyrwm; 03-29-2019 at 02:46 PM.. Your questions are rather large in scope, and I'm having a difficult time addressing them. I think in form and 3D, not so much numbers so perhaps others can get all technical with you. 1. What is your tow vehicle? 2. What is your trailer base? From there we have parameters, and a problem to solve. Define the scope of the design, then solve. For instance, assuming you start with some sort of trailer base, selecting a lighter one for camping verses one for towing heavy equipment or cars will be a weight savings, and that translates into fuel savings. I have no idea where a "Tiny Home" trailer base would fall in this, I didn't even know firms were marketing for it until I found the below today. 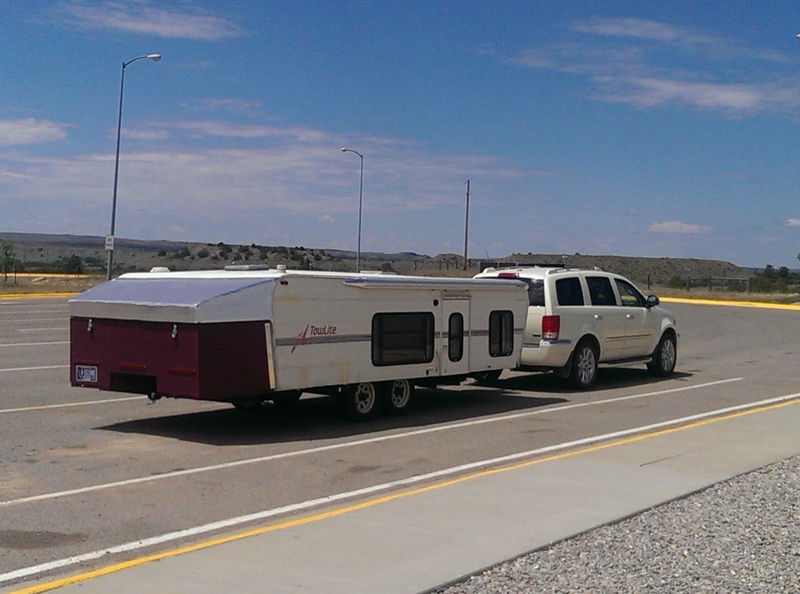 Save time and money by buying a trailer specifically designed for your tiny house. Tiny Home Builders trailers are designed by people that build tiny houses, and we have taken every step to make that job as fast, safe, and as easy as possible. Our trailers come ready to build on, requiring none of the prep that normally needs to be done on a standard equipment trailer. Best of all, they don’t cost any more than an equipment trailer. Simply stated, our trailers are the best trailer to build a tiny house on. Maybe you can make the world's first Aerodynamic Tiny House? I've played around with such a design, but it was really more of a houseboat that catamaran sponsons could be added to and the houseboat removed from the heavy travel/tow frame. 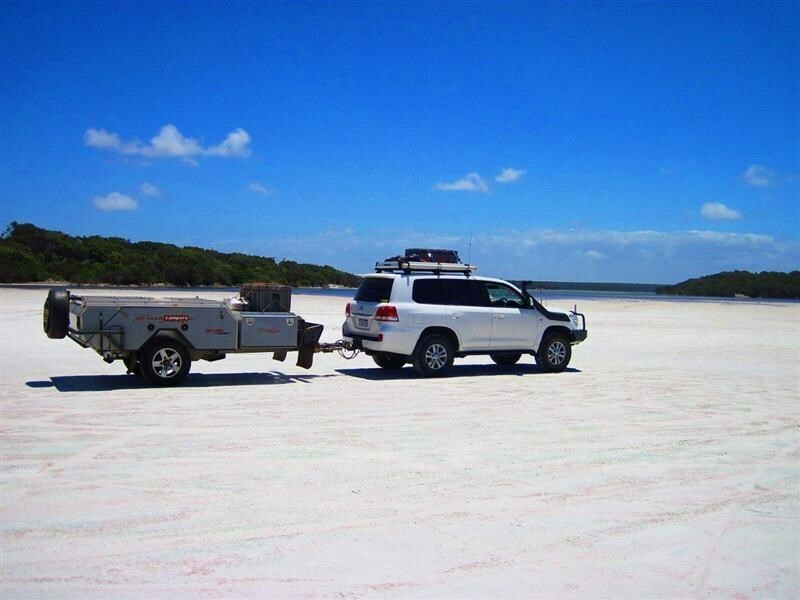 You might want to mention the materials your camper trailer will be built out of, what you feel more comfortable with, be it aluminum or composites. Reason being some shapes will be easier/harder or cheaper/expensive based on the materials properties. Anyways, that's where I would start, from the foundation up. As I understand it aircraft are often designed around a specific power plant, so starting with the most important part and building from there is certainly one method. I know that my for fun trailer designs on grid paper changed when I went from a 4-cylinder Geo Tracker, to a V6 Chevy S10, and will change again if I get a V8 F-150. The width and height may not have changed much in my designs, but the length certainly has. And that greatly affects the coefficient of drag and overall program or capability of the design. Thanks George for your response. I had not listed my current vehicle because I am very unsure that it will be the final tow vehicle. But if it helps, it is a 2004 GMC Savana with a short bus body on it and an 8 cyl short block vortec engine. In its current state as a camper, not towing, I average 12 mpg. If I do use that for parameters then the width would need to be within that width of 7’4”. Height wise I am 6’5” so I was imagining the trailer being about 7’ tall from trailer base. Also I do not have the trailer base yet. If I do this project I will be buying the trailer base sometime in the next few months and had wanted to do some design work before that. Hence the questions to help me get started with that. How would you radius the front edges of the trailer? How would you radius the edges along the top sides of the trailer? How would you taper the back into a partial boattail in order to still allow usable space in the back eg for a queen size bed if that is possible? I have done wood construction in the past and would probably do a lightweight wood frame for the trailer. I am comfortable with the possibility of using plywood to make the arches needed to radius the edges. And I am considering a modified version of some of the foam and canvas wrapped trailers built by the folks over at the TTNTTT.com forum. I definitely like the idea of doing an aerodynamic tiny house. It seems that almost none of the tiny house designs are anywhere close to being aerodynamic in the sense that it is talked about here. But that is probably another project. Maybe a similar design with slide outs and/or a raisable roof for a sleeping loft. *A rule of thumb is,for each 10% drag reduction,you'll see a 5% increase in mpg; compared to the original Cd. Example:lower your Cd from 0.30,to 0.15 = a 50% drag reduction,yields a 25% increase in mpg at 55-mph. At higher velocity you'll see above 5% per 10% drag reduction. An 80mm radius is a safe bet,but there is an optimum,that's in the seminars,based upon a percentage of the square-root of the frontal area. The ideal is,to provide articulated gap-closures,which seal the gap between the tow vehicle and trailer,as NASA did with their 18-wheeler in 1980. *As to taper,that will depend on the level of difficulty on your build.Organic,compound curves are the 'best',but most difficult to fabricate. For simple angled surfaces,the optimum angle will be a function of the length of the panel surface,compared to host structure. For the bus diagram,all those angles are 5-degrees. For the Ahmed body,you can see a sweet-spot angle,and then the impact of plan-taper,plus adding a diffuser. Hucho/Buchheim and Mair say don't ever go steeper than 22-23 degrees. I've been promoting the aerodynamic streamlining template,as it's a proven form,for 97-years now.But again,it's the most difficult to build. 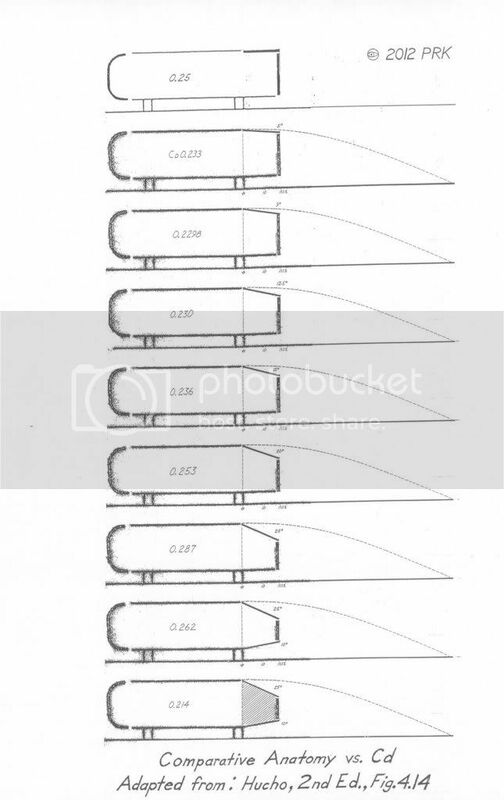 As to boat-tail truncation,Kamm recommended chopping the tail off at 50% of frontal area,for urban driving,then Fachsenfeld advocated adding back some of the tail (or all of it) with an inflated portion,only for rural highway driving. At the wind tunnel,the full-tail template body registered Cd 0.1209.When the stinger was removed at the 50% Af location,the drag rose to Cd 0.148. An 80mm radius is a safe bet,but there is an optimum,that's in the seminars, based upon a percentage of the square-root of the frontal area. Wow, okay so 80mm/3.15" is a much smaller radii than I was thinking was needed, which makes it seem much easier than what they do on an airstream for example. Is that the same for the radii on the top edges of the sides before the taper??? And yes, I understand re closing TV to TT gap as NASA did. The compound build seems doable but the issue of liveable space usage seems harder to overcome. 5 degrees though seems fairly easy. Okay I think I got this too. Leading edge softening is a must except for the bottom,which should be flush with the tow vehicle,unless you wanted to treat the trailer bottom as an up-swept diffuser. The rear vertical edges can be sharp,to maintain a controlled separation line. This thread inspired me to do a little doodling last night, as I was not sure where my old sketches left off, so I drew a somewhat rectangular in section box with rounded top edges. The profile side view was truncated tail aero-template. The nose was rather bulbous, neither blunt nor pointed. To have a an actual useful interior that one can stand up in, it is a single hinged at front lift at back roof with tent-like triangle sides in the erect position. The walls are about a foot thick with built-in's, 12" radius at top/roof. 8-foot wide trailer minus 12" and 12" leaves 6-foot wide of maneuverable waking surface and ceiling surface. There is no taper to the sides, the sharp rear edges have a little cavity box effect to them to act as a water drip edge. Maybe I'll post something after Monday, but I don't want to hijack this thread. I want stcyrwm to start posting some of his sketches. 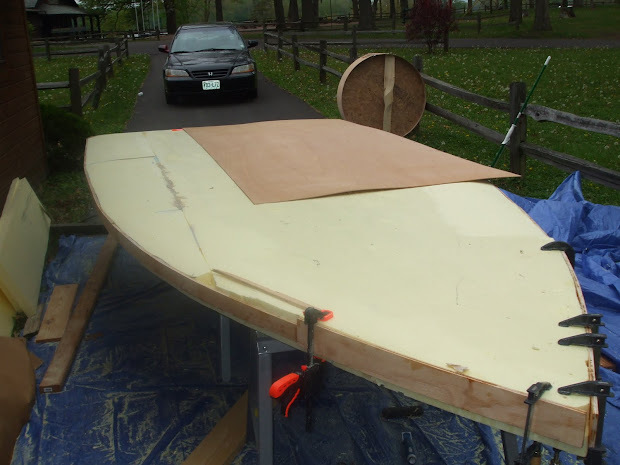 In my opinion, unless the wood construction is honeycomb Bass/Balsa epoxy and fiberglass cloth coated, it's going to be much heavier than composite foam and fiberglass or aluminum construction. If you build this like a house, it's going to weigh as much as a house. Do you really want to be towing a house around? Personally I'd look to hovercraft (UH Hovercraft thin plywood on foam epoxied sealed) and aircraft construction (spruce spars and skin?) for a project like this if wishing to involve wood, and I'm an architect. Aerohead has posted the fuel savings for aerodynamics, maybe he will be so kind enough to post something on weight savings and fuel. The nice thing about using foam or honeycomb in the design is the insulation properties. Perhaps thinking about this as an upside down boat would help. If you build using a stress-skin construction method, the heavy wood framing and form rigging can be removed. Your three basic constriction types above, with hovercraft and perhaps trailers being in between planes and boats cost to weight wise. There are so many different ways of building cars that I don't want to get into it, besides towing a car behind you is far more a weighty proposition than a trailer, boat or hovercraft. In general, the lighter you make it, the more expensive at the same strength. The heavier, the cheaper but not cheaper in gas. Gotta find that happy compromise, and one that works within your skill and budget. This is all part of design, and not an after affect or by-product. 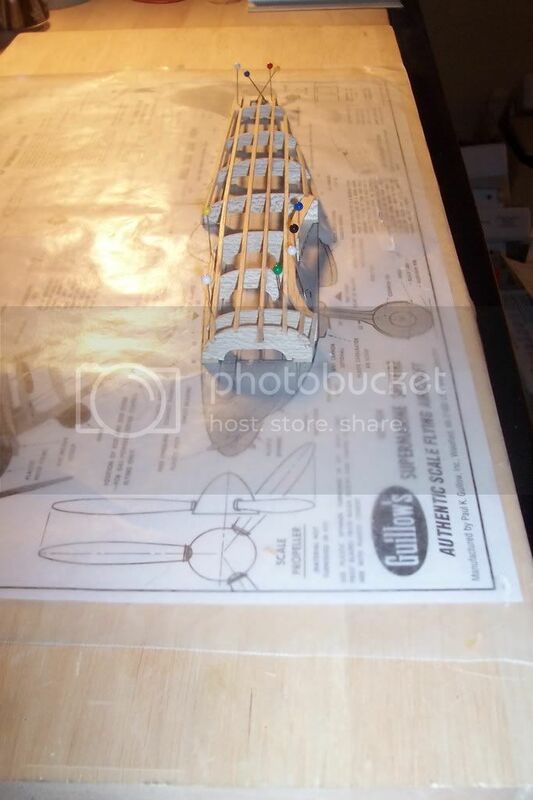 Photo of a UH (Universal Hovercraft) build. Not recommending the above, just providing food for thought and because others may not be familiar with this home-build method. Just start with looking at how other camper trailers are built for starters before trying to reinvent the wheel. Using the image search terms "camper trailer construction" provides a wealth of construction types. Last edited by kach22i; 03-31-2019 at 12:30 PM..
Again, thanks for the response George. No worries on my end about hijacking thread - I would love to see your design. I am a little confused as to why you would do 12" thick walls though. I was thinking more of 3" to 4"max, considering that frontal area is a major aerodynamic factor. I am not sure how soon I will be able to post sketches myself as I am still just learning how to use Sketchup. Also I am still just sitting with which design to go with. I guess one of the questions I need to settle in myself is whether i want to go to a hinged setup like you are speaking about or let that idea go and just run with the partial boattail. I am leaning toward something shaped like the bus in the graphic above with a Cd of .218. This design would allow a queen bed in the back where we wouldn't need as much headroom anyway and get a fair amount of the aerodynamics without the complications of a hinged top. I think I could do a relatively lightweight 2x2 lumber with some strategically place 3/4 plywood for frame with some thin plywood interior sheathing and then 2" styrofoam with poor man's fiberglass exterior (canvas, titebond and exterior house paint) and easily keep the weight in the 2 to 3000 lb range. You can say that again. I have spent countless hours watching people build campers, canoes and planes recently - haven't checked out the hovercraft yet. The "foamie" section of the ttnttt.com forum also has days worth of reading about lightweight trailer construction. I am a little confused as to why you would do 12" thick walls though. The depth allows for plywood or other rib/frame needed as the roof is all open, picture a pick-up truck bed that has a top flange - there is thickness otherwise the bed side would fold in. The alcoves between the spars would be for shelves or counters. I would have to draw this up for you to understand, it's not typical in any way. 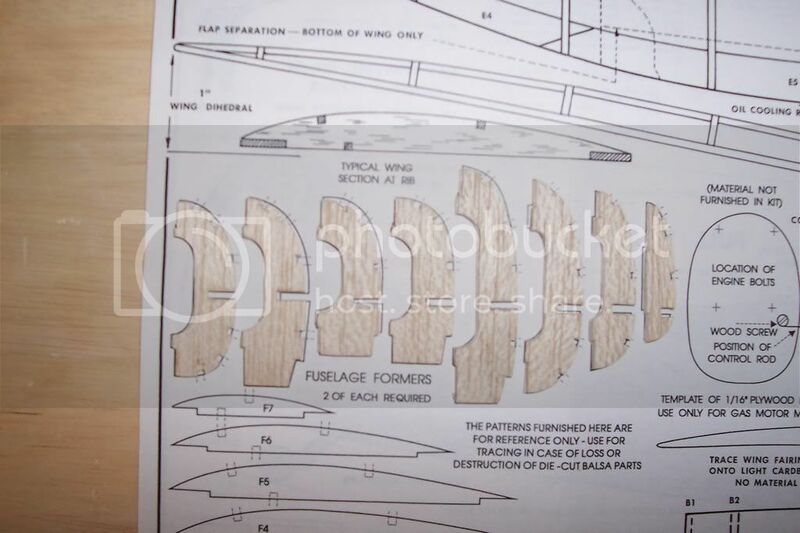 The above is similar to what I was trying to describe, WWII fighter style or balsa wood model construction. 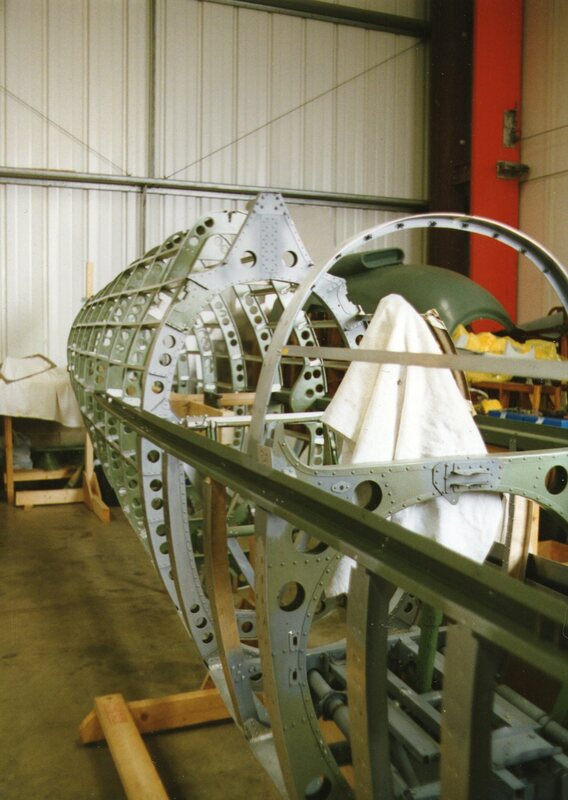 I built something similar when I was 15 years old, 36" wingspan balsa wood Spitfire - it was glorious. The storage trailer (similar to horse trailer) I just looked at while doing a walk going from outside to inside is thin aluminum skin riveted (4-inches O.C.) to spars (2x2 wood or Z-metal) at 24" O.C. and plywood interior skin. The top edges all the way around are about 8" radius preformed aluminum quarter round channel with I think a flange or slot for the skin to be fastened to. There was a damaged area, a hole in the side, no insulation in there and about a 2-inch depth. This wood and metal hybrid construction is fairly common and I would suspect specialized parts could be purchased online somewhere. Not too hard to find using "trailer body round channel". In any case, wood on the outside is going to have serious maintenance issues. On the inside, wood takes abuse and impact, and gives you something to mount to. Better put some wood blocking behind it though. Last edited by kach22i; 03-31-2019 at 04:11 PM..
A big thing to keep in mind is frontal area, you can get great Cd but if it has the frontal area of a standard camper (mine is almost 10 feet tall and 8 feet wide or 80 sqft) you still will be at a disadvantage compared to say a pop-up camper that is just a box but follows almost entirely in the wake of the tow vehicle. Best of all worlds would be a low profile pop-up camper that actually improves the Cd of the tow vehicle by making basically a boat tail trailer. Heavy isn't necessarily a problem if you are talking about long steady runs without need for braking. You burn more gas getting weight up to speed but once at speed it's just stored potential energy. Just don't waste it in the brakes and it will return to you at some point. So when going up hills, let speed go so when you crest the hill you can just roll down without brakes. A mountain pass will be too long and you will have to brake probably, but on the little hills you can build speed before, lose speed on, and then coast all the way down and then weight isn't such a big penalty. certainly not as big as aerodynamics. Again best of all worlds would be light, aerodynamic, and no bigger frontal area than the tow vehicle. This was my first attempt on a $1000 Hi-lo I picked up that had roof damage anyway. I thought I was just going to use the appliances and the frame but it turned out fixing he roof wasn't that hard so I fixed it, and then messed around with the basics. I added a boat tail that also worked as a storage box on the back. Turned out it may have helped aero but wasn't useful as extra storage, as anything of weight back there took too much weight off the tongue and caused sway. I also added some fairings on the front and on the awning. It did do pretty good, that SUV on it's best day would only get 18-19 mpg and towing that trailer we still would see 14-15 mpg. Towing my current camper, a standard box, that Aspen never got better than 9 mpg. I never towed the Hi-lo with my Cummins but it could do over 20 mpg unloaded and towed the new box camper at 12-13 mpg. I have a feeling it may have hardly noticed this Hi-lo. Now the Hi-lo, the Cummins, and the Aspen are all gone and we have a 2500 Suburban to tow the big box which it hasn't actually done yet so I don't know what kind of MPG it will get. 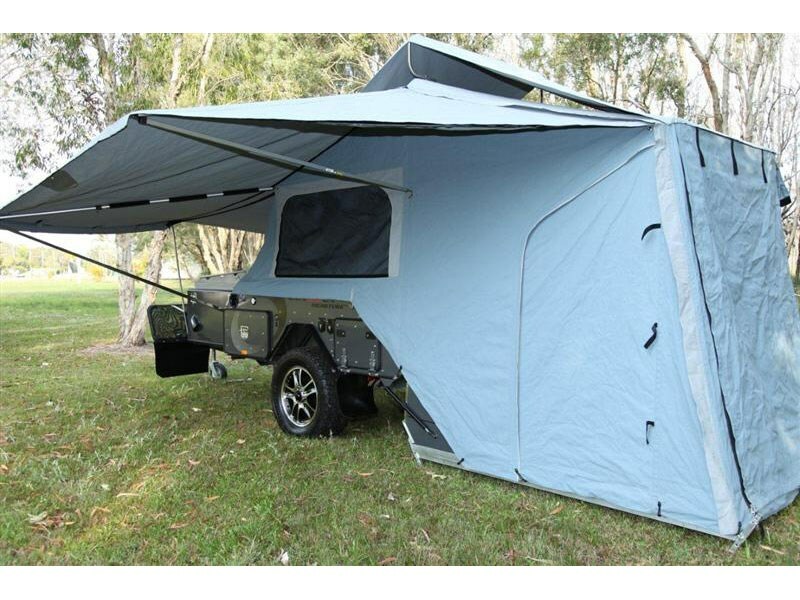 I have another plan to build my own off road Australian style pop-up trailer. One where the top hinges over and becomes the floor of the stand up tent area, the kitchen pulls out from under the bed into the stand up area, and the bed is the footprint of the original 5x8 trailer, just built 2' off the deck. The tent would all be attached and fold out like a pop out book does when you open it. I have foam model built but can't find the pictures now. Last edited by Hersbird; 03-31-2019 at 04:32 PM..